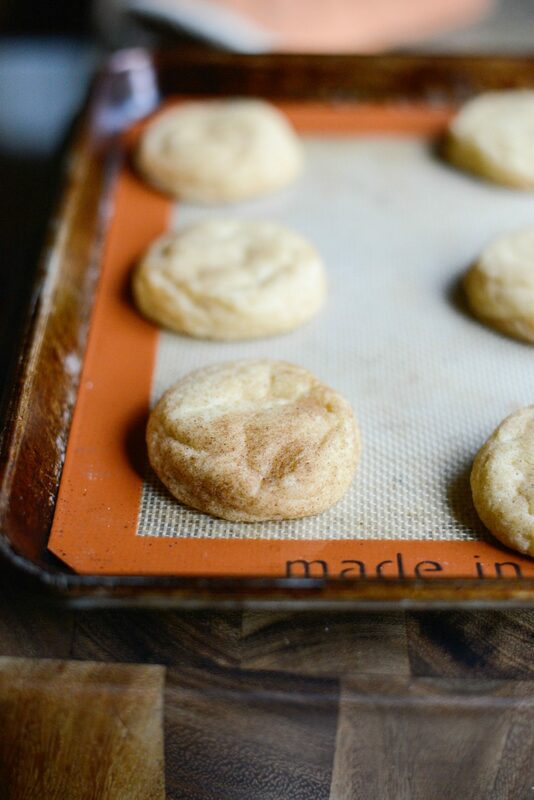 Snickerdoodles may just have one of the best cookie names ever. 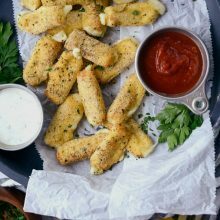 What is the story behind the name and how can I name a cookie recipe? 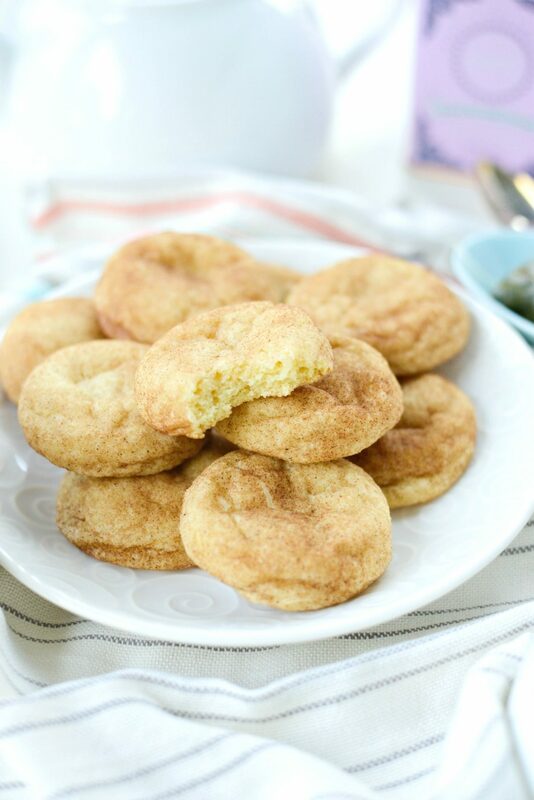 Snickerdoodle cookies were essential to my early teen baking years. They were one of the first cookie recipes I ever learned to make – thanks to ‘Home Economics’ or what my daughter’s school now calls “Food Science and Nutrition”. I loved Home Ec! In it, I remember learning how to make soft pretzels, snickerdoodles and also how to sew a button and make a pincushion. 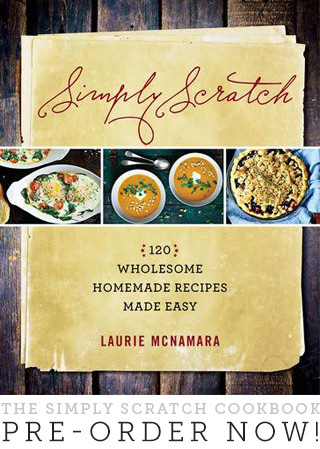 Nowadays kids learn how to make soup, stir-fry, vinaigrettes and croutons and a little bit of the science behind it and they have an entire separate class for learning to sew buttons etc. and their is even an Advanced Food Science and Nutrition class. High school classes are so much more fun these days, yet there’s not any amount of money you could pay me to go back. These cookies are a cinch to make; two sticks of softened butter, sugar, eggs, vanilla, flour, salt, baking powder and cream of tartar. What is cream of tartar? It’s actually really interesting. 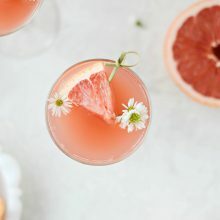 Cream of tartar, or CoT to simplify things, is an acid [tartaric acid] and is the byproduct of –wait for it– winemaking. It’s literally what is left, a residue if you will, on the barrels after wine is made. How exactly someone decided to add it into cookies to make them super soft and tender or into egg whites so they stay firm and all lofty– I’ll never know. Actually, I may just Google it. 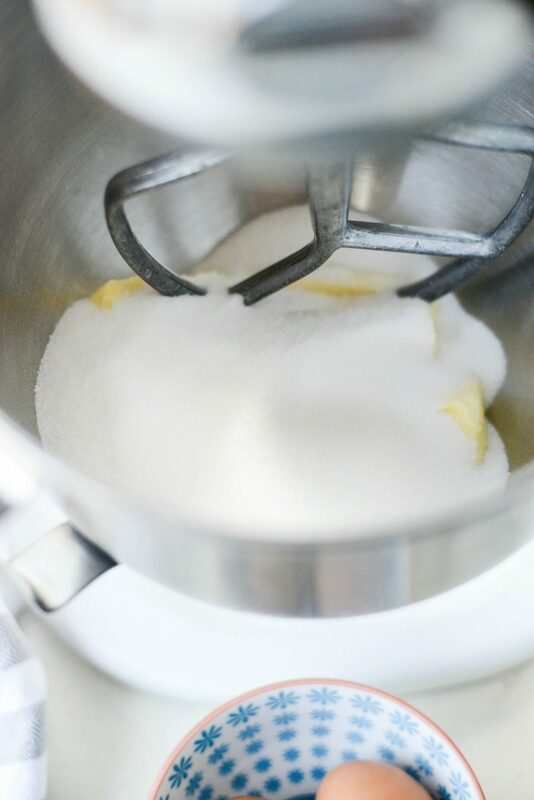 First, place the two sticks of softened butter and 1-1/4 cup of granulated sugar into the bowl of your stand mixer that is fitted with the paddle attachment. Cream on low speed until light and fluffy, about 2 minutes. 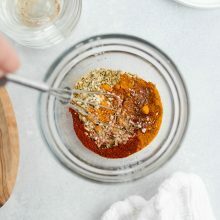 Add one egg at a time, mixing until combined. 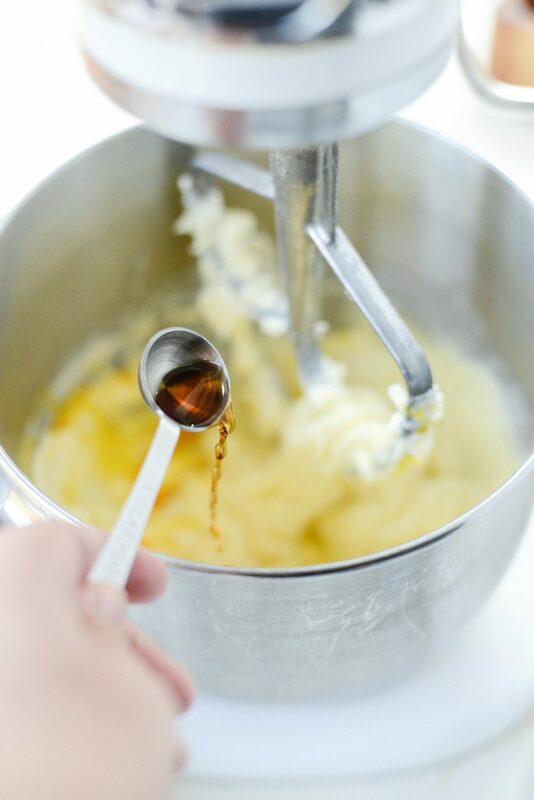 Then measure in the 2 teaspoons of vanilla extract. 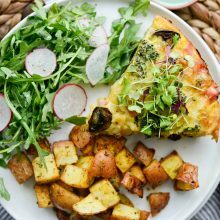 In a separate bowl, combine the 2-3/4 cup flour, 2 teaspoons cream of tartar, 1 teaspoon baking soda and 1/4 teaspoon of kosher salt. 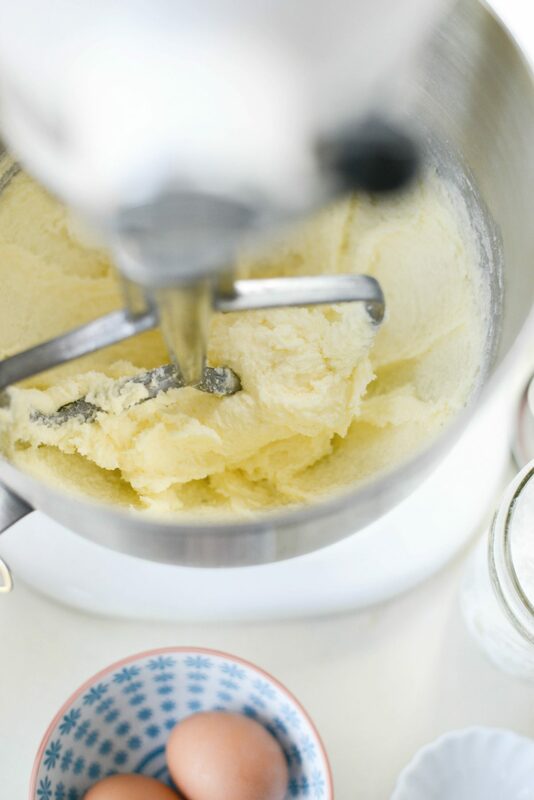 Then gradually add the flour to the creamed butter and sugar, mixing until just incorporated. 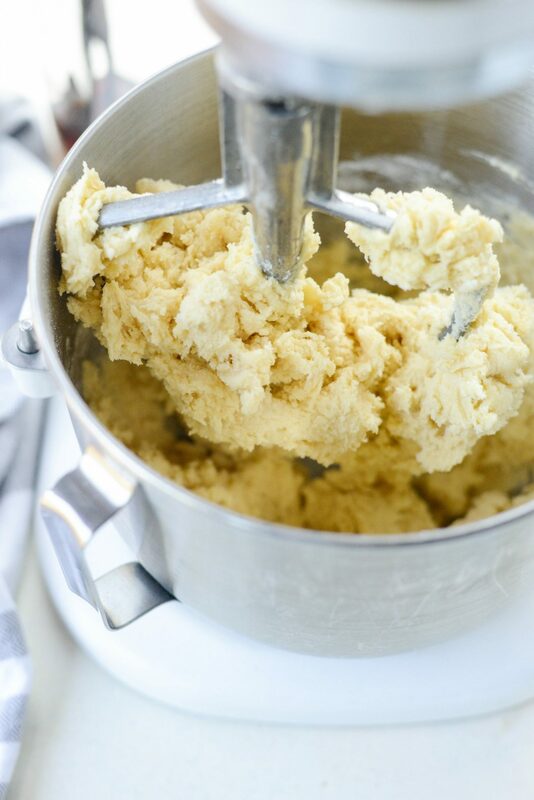 Next, use a two-tablespoon scoop to measure out your cookies. Roll the cookie dough in your hands to make a smooth ball. 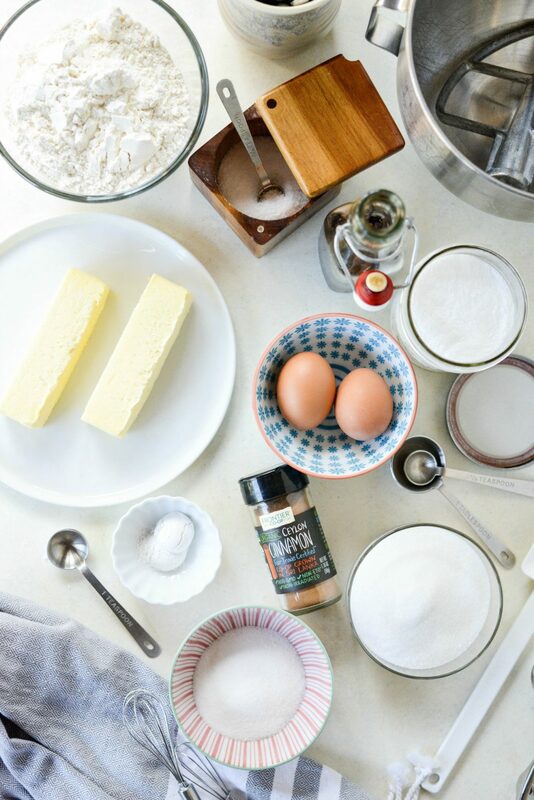 Then place the round cookie dough ball into the bowl with the cinnamon sugar and sprinkle the cinnamon sugar over top whiles rolling the cookie dough to coat. I think the cinnamon sticks better with this method. Then place the cinnamon sugar rolled cookie dough onto a silicone lined baking sheet. 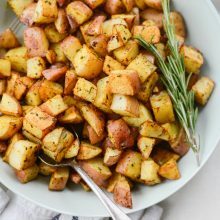 Bake at 325° for 1o to 12 minutes. 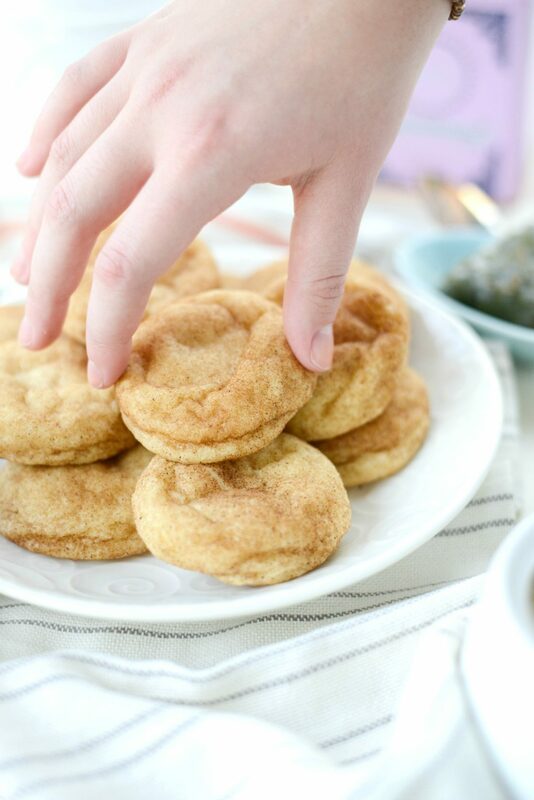 I bake my snickerdoodles for 10 minutes because we like them super soft. Why silicone? Well, I did bake a batch on a parchment lined metal baking sheet and they came out thinner and less “lofty”. Allow the cookies to cool for a few minutes before transferring to a wire rack to cool completely. 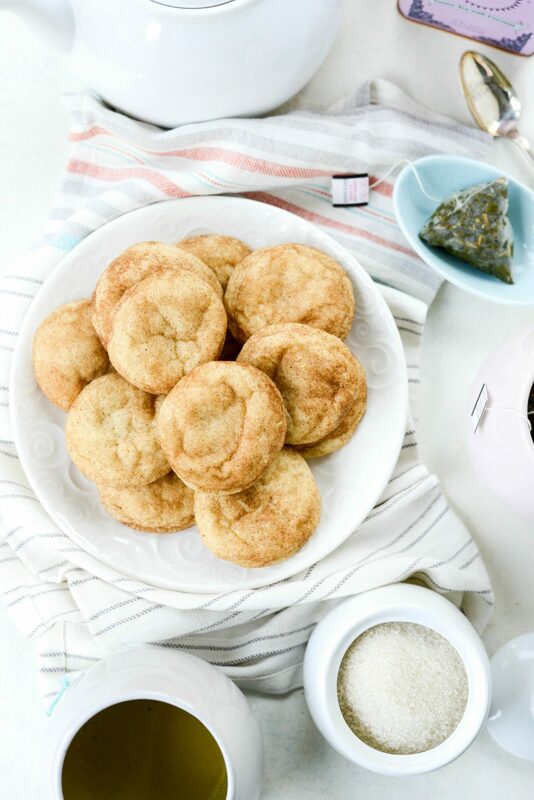 It’s the weekend so I made us a few batches to go with our tea or coffee and because the inter-webs need another snickerdoodle recipe, right? 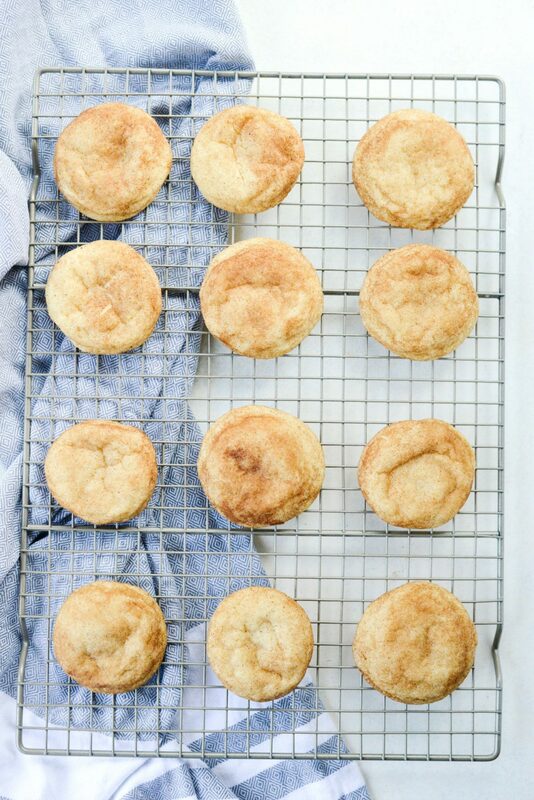 Who doesn’t love Snickerdoodles? 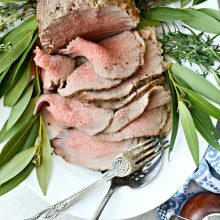 With their tender buttery goodness, crisp cinnamon-sugary edges…so good! 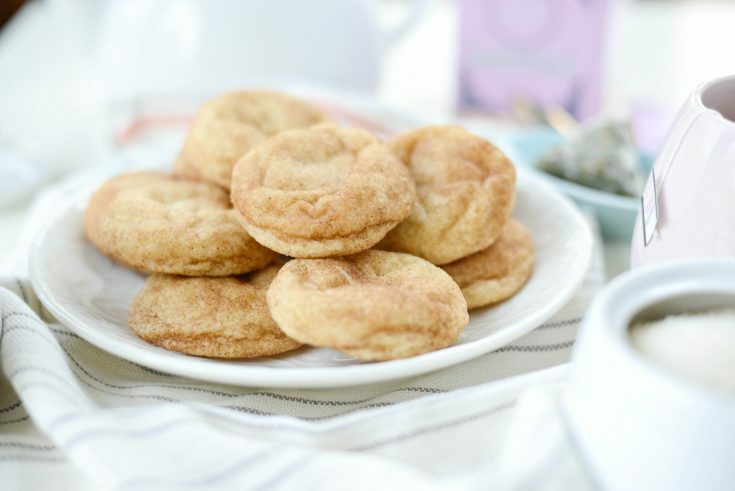 Snickerdoodles are tender butter cookies coated in cinnamon sugar. Known for their crisp, sugary edges and soft chewy middles. 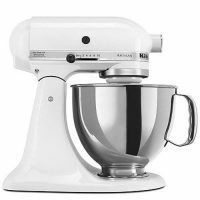 In the bowl of your mixer, fitted with a paddle attachment, cream together the butter and sugar until light and creamy. About 2 minutes. 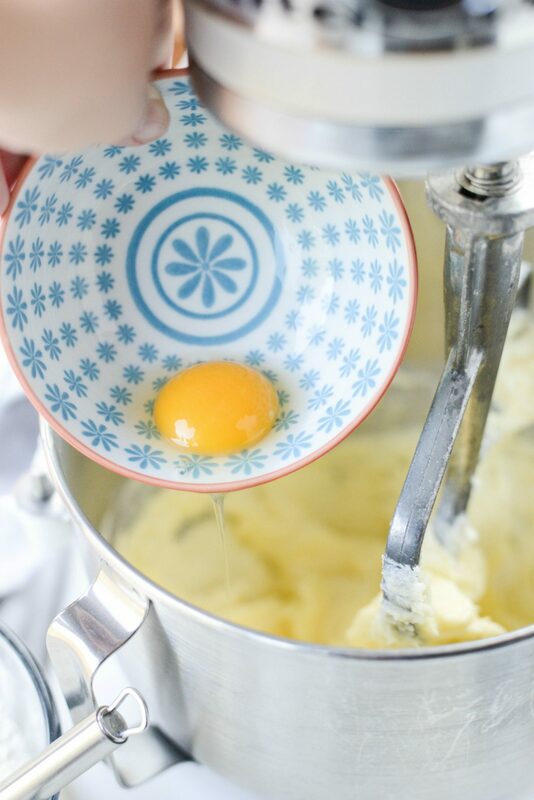 Add one egg at a time, mixing well after each one. Then add in the vanilla. 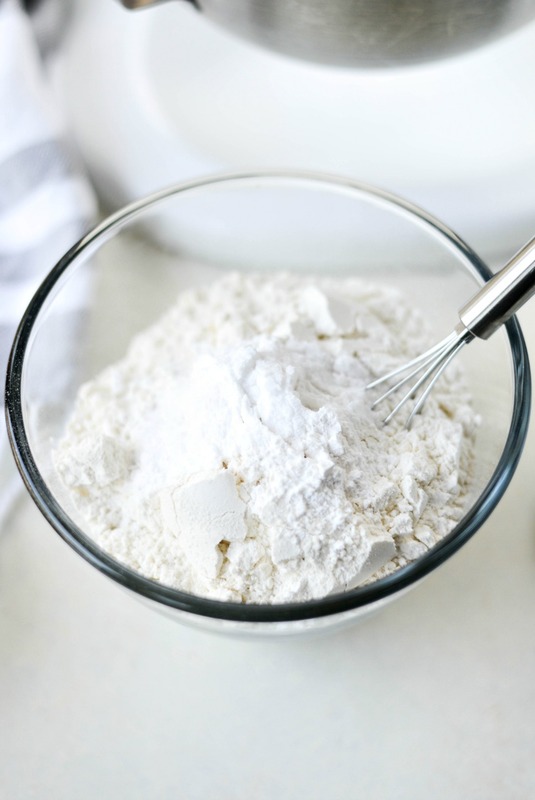 Whisk together the flour, cream of tartar, baking soda and salt. 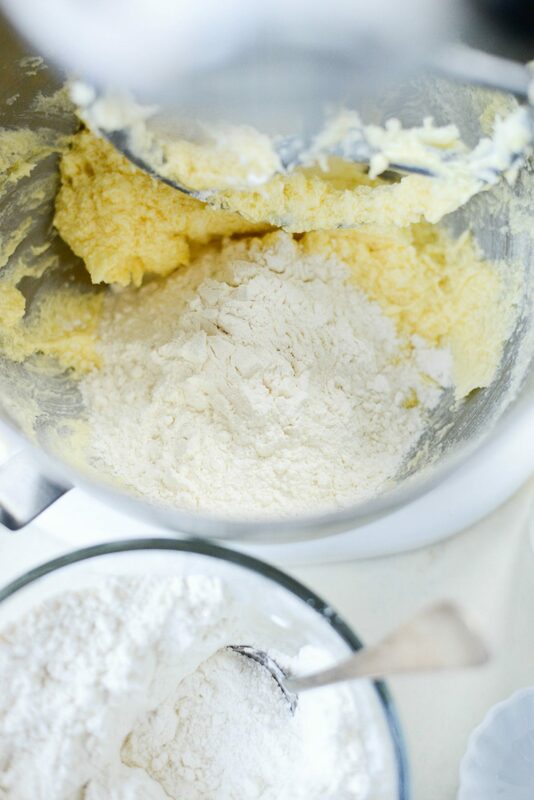 Gradually add the flour mixture to the batter, mixing until just incorporated. 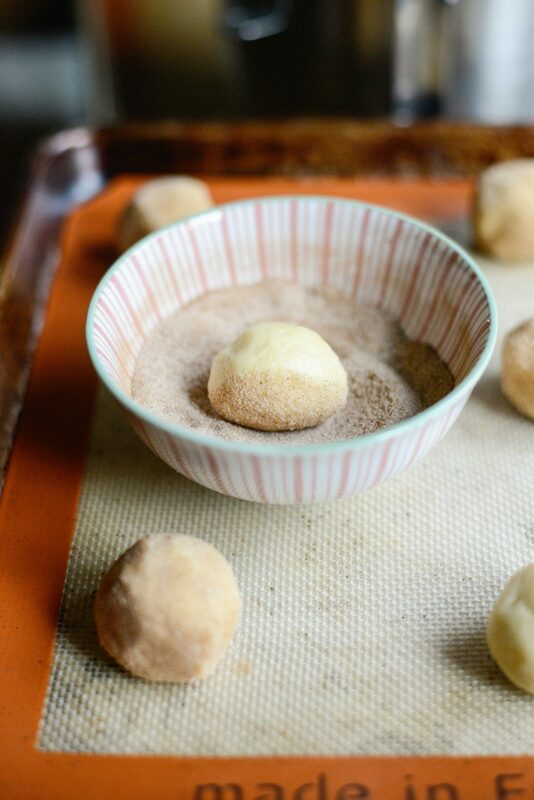 Measure 2 tablespoons of cookie dough, roll into a ball and coat in the cinnamon sugar. Place the rolled cookie balls 2-inches apart, 12 per pan and bake for 10 to 12 minutes. Allow the cookies to cool on the pan for a few minutes before transferring to a wire rack to fully cool. Why silicone? Well, I did bake a batch on a parchment lined metal baking sheet and they came out thinner and less "lofty". They tasted the same, but didn't have that signature snickerdoodle appearance. 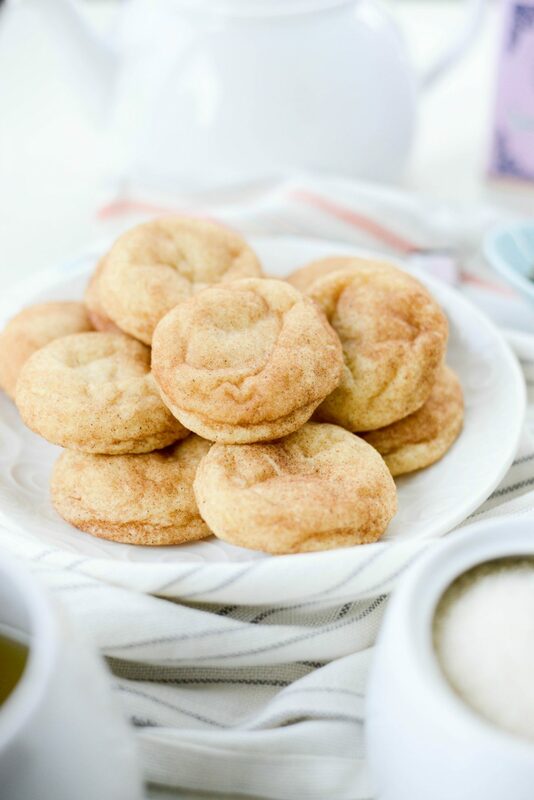 Nobody knows for sure where the snickerdoodle got it’s name, but I remember them from my childhood too. My favorite story is that the cookie is named after a hero of tall tales from the 1700’s, his name being Snickerdoodle of course. =) As for how you name a cookie, invent it and it’s yours to name.